‘You’re doing what?’ I asked incredulously. ‘I’m gonna barbecue me up some re-ibs’. His accent was fake but the big package of country style ribs was real enough. ‘But it’s February!’ I cried, peering out at a mist-hung landscape where every inch of surface was damp and dripping. ‘Hey, it’s hardly raining and the thermometer says high forties,’ he said. ‘Like a good day some Junes around here.’ He threw coals onto the grill and went clattering through the cupboards in search of his big pot. I watched fascinated as he first boiled the meat and then grilled it, tossing on some maple branches and clamping down the lid to let the ribs smoke. Finally, he popped them into the oven after smothering them with what he called ‘finishing sauce’, and let them slow cook for hours. The other day I whipped up a batch of Seattle style ribs for my son the meatatarian. While gargantuan football players vied for the coveted title, those ribs baked slowly, until their sweet flavor filled the whole house. After the game, we dug in. And were those ribs good? Mmm. 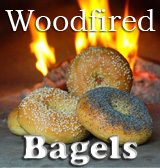 They were rich and moist and smoky – with a flavor bright enough to shake the moss off your north side. Boil the ribs: Bring 1½ cups water + ½ cup of vinegar to a boil in a large pot. Put half of the ribs into the water; bring it back to a boil and, once boiling cook for 4 or 5 minutes. Do the other half the same way, scooping off any scum that rises to the surface of the pot. Sprinkle the ribs generously with black pepper and set aside. Discard all but 2 cups of the boiling water. Grill and smoke the ribs: Light about 40 charcoal briquettes in a small grill (mine is a Smokey Joe by Weber) and let burn for a half hour. Spread out the coals, put the grilling surface in place and squeeze on all the ribs at once. After 7 minutes, lift the grill and place the apple branches directly onto the coals. Now turn the ribs, wait a minute and, once the smoke is billowing around the meat, clap the lid down. Adjust all vents to be ¼” open and let smoke for 20 minutes. Bake the ribs: Cut an onion into 8 pieces. Spread the smoked ribs one layer deep in an 11×15 glass lasagna pan and pour 1 cup of the reserved rib water over them. Stick onion pieces into the cracks between the ribs. Spoon 1 cup of barbecue sauce over the ribs (see easy recipe below or use your favorite) and pop them into a 300° oven. Turn the ribs every hour, spooning on more barbecue sauce with each turn. The ribs will be tender in 3 hours. If you want to leave them in the oven even longer, turn the temperature down to 275° after the first hour and bake for 4 to 5 hours altogether. 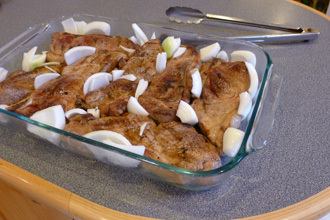 Add more water in the second half of baking if necessary, but otherwise these ribs require very little attention while in the oven. Easy barbecue sauce (okay, finishing sauce, if you prefer! ): In a saucepan mix 1¼ cups ketchup, ¼ cup vinegar, 3/4 cup water, ¼ cup sugar, 1 ounce of Worcestershire Sauce, ½ teaspoon of garlic powder and 4 tablespoons of either ancho chile powder or American chili powder. Cook over medium heat for 10 minutes, stirring well until hot and smooth. Simmer longer if desired in order to develop the flavors. For an extra kick, add ½ teaspoon of cayenne. Slather onto Seattle Smoked Country Style Ribs and enjoy that old time taste! Ribs on the grill just beginning to smoke! Yes to smoked ribs! Wow these look so amazing. One more reason for me to love Seattle even more! Kinda jealous – that looks so good. We’ve had storm damage here after the snow, maybe April?! I’ve been playing with smoke in?Boise for the last few weeks. These are inspiring. I miss the Emerald city, rain and all. Gorgeous pic Don! I’ve never actually made ribs, I’m always afraid I’m going to ruin them, but these are extraordinarily tempting! These look delicious!! 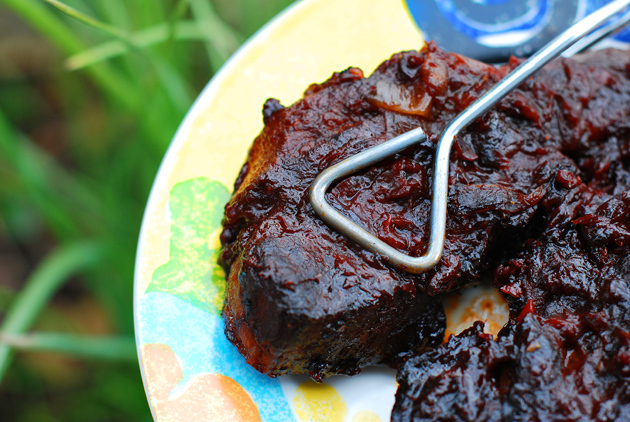 I LOVE ribs…I can’t wait for it to get warmer…I am definitely trying these out! Yummy! We barbecue year around here in San Diego, this is a must try recipe, as soon as I find some apple branches…..
As far as I’m concerned it’s always barbecue weather. Last year during the blizzard my husband was out grilling ribs in 3 feet of snow! The neighbors thought we were crazy. This ribs look amazing! These look great, but do you have any advice on where to find the apple branches? I’d hate to have to plant a whole tree just to smoke some ribs! I have noted this – husband has become rib obsessed this year. 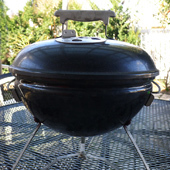 But at minus 10 degrees F – it is just too cold to grill (today). 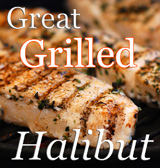 The grill might keep up – but no one wants to stand outside. I like the pre-boiling a lot. These look awesome. Maybe its because it is February and we have been toppled with snow every week now for what seems like forever but I am craving my little webber like there is no tomorrow. I am generally not a huge fan of ribs – but right now – I want these. I’s head to Seattle any time for a plateful of these ribs Don. Oh yeah! Nothin’ like good ribs! Love the smoking technique … low tech and gets the job done! I commented on the site, but this is a terrific recipe. Love country ribs, and I love utilizing them to the max, which this recipe does. 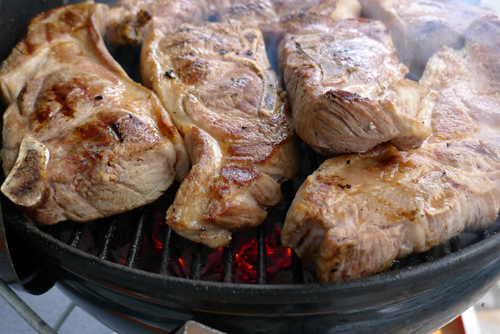 Simple seasoning – so you can appreciate the pork! Thanks for the recipe. I will have to try it sometime. These look good and tender. We have two sources of apple branches: on our tree, which can always do with a bit of pruning at this time of year, and as fat kindling we have on hand for the woodfired oven. Since you’re hot smoking, it doesn’t really matter if they’re green or dry. Branches from any fruit tree will work – but apple is the most fragrant! Thanks for all your great comments. BBQ heaven! I am so jealous. The ribs look awesome! Have not had ribs in a while. Unfortunately it is too cold to turn on the grill outside. I am jealous of the Seattle winter weather. I have been out there in Feb. and I’d take that over feet of snow and 10 degrees like we have at home in NH. BBQ all year round? I might just need to move! My mom is standing over me copying the recipe word for word… you’ve made her real happy!! Thank you for sharing…it sounds amazing! I must admit, ribs are my thing, but these I’d be willing to try! Love all of the spices. I think I can only live in areas where there’s never a wrong time to barbecue! The finishing sauce looks fantastic. Love your recipe. Makes me wish it was warm enough outside to fire up the grill!!! These ribs sound totally succulent and delicious, excellent recipe here!